I have been saving this dinner to share on this weeks Saturday Blog Showcase being hosted by Lori at All That Splatters. I prepared this dish last Sunday for dinner. 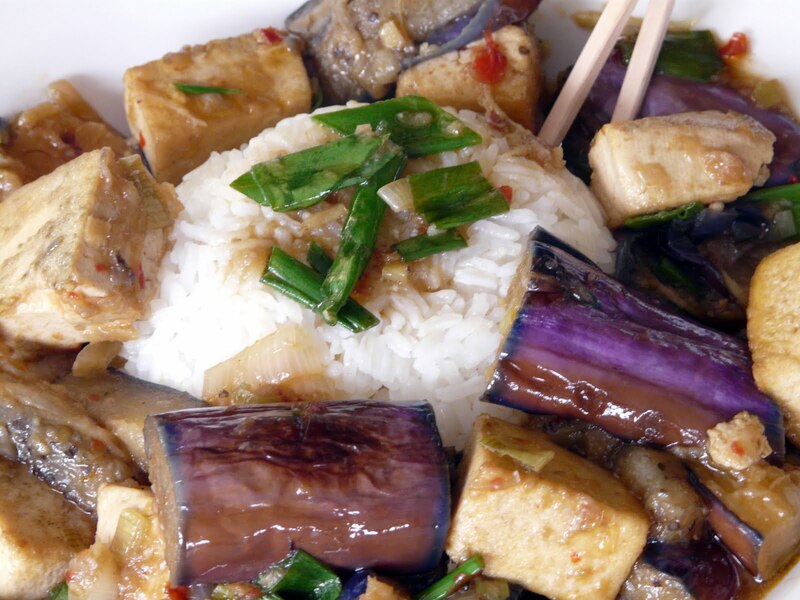 Both Moe and I really like Eggplant and I especially love it with an Asian twist. This was sooooo goood and definitely something I will be making again. I found the recipe for Eggplant and Tofu Braised in Fragrant sauce on Food 4 Wibowo. Although her intention was to prepare a vegetarian dish, I did cheat a little and subbed chicken broth for water. I posted the recipe with my changes, but you can find the original recipe here. Cut eggplants length wise and then cut each half into 2-inch pieces. Stir fry garlic, ginger, lemon grass and eggplants over medium heat in a heavy bottom pan or a wok for 4 minutes until the eggplants absorb the oil and begin to soften. Add in tofu, green onion and the chili paste and cook for another 2 minutes. Add the sauce and mix carefully to combine all the ingredients. Add the chicken broth and cover the pan with a lid, lower the heat and simmer for 6 minutes. Sprinkle with chopped green onion. Stir one more time and serve. 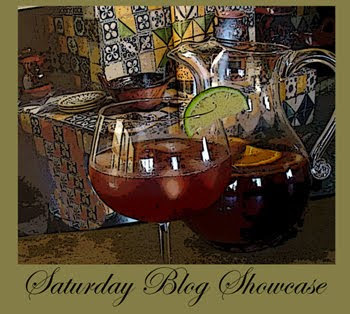 If you would also like to participate just prepare a recipe that you have found on another bloggers website and then go to All That Splatters and link your post to Mister Linky. Great way to try something knew and to introduce us to another great blog. This looks absolutely delicious Ann! I love eggplant. Beautiful photos...will need to make this one when the eggplant starts to ripen. Ann, this looks both gorgeous and delicious. 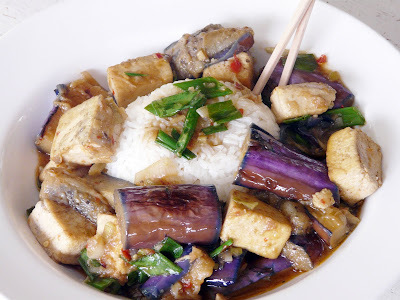 I've got eggplants from the veggie box and will print out this recipe.